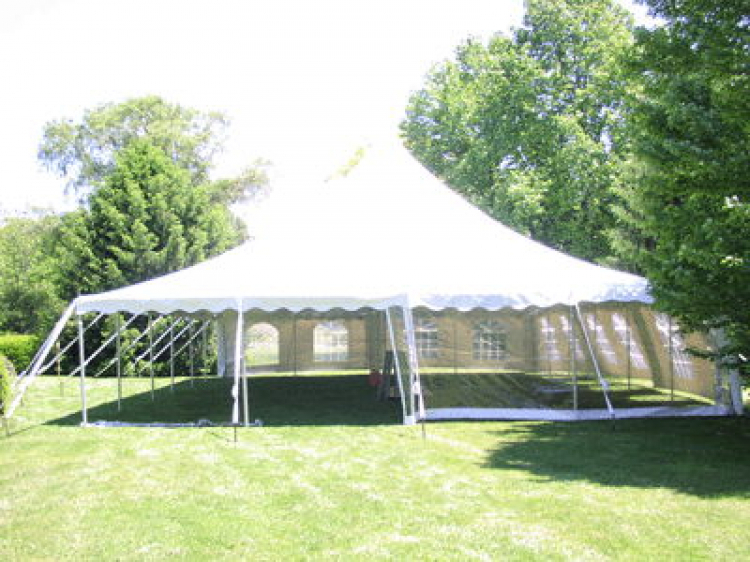 This High Peak White Rental Tent is perfect for creating the ultimate Event Space! 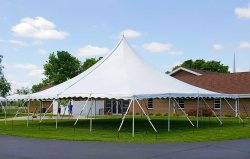 This medium sized 40×40 High Peak Pole Tent is a necessity for any outdoor wedding or event. You never know when the weather is going to take a turn for the worse, so having a party tent rental will ensure your guests stay sheltered from the elements. But these wedding rentals aren’t only good for practical use. They also add a lovely touch of elegance to any outdoor event and open the doors for impressive decorations and create a luxurious atmosphere. Space Measurement: 1,600 sq. ft.